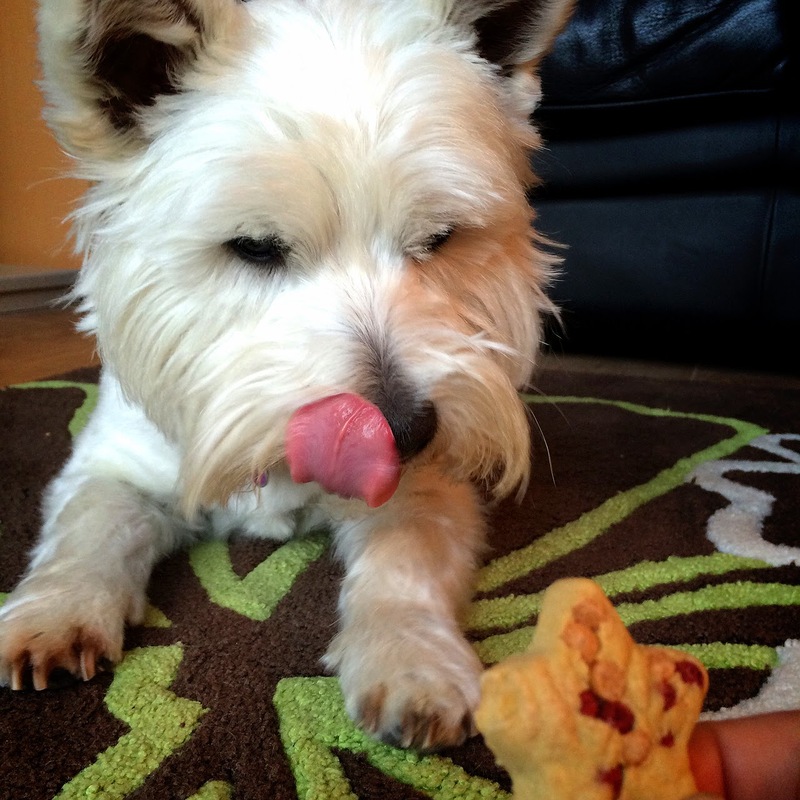 Tasty Tuesday | Treat Review | Purina Delibakes stars. A few weeks ago I promised you guys I would do a review of a few new treats I had brought Lottie. Things have been a bit hectic due to my upcoming surgery. 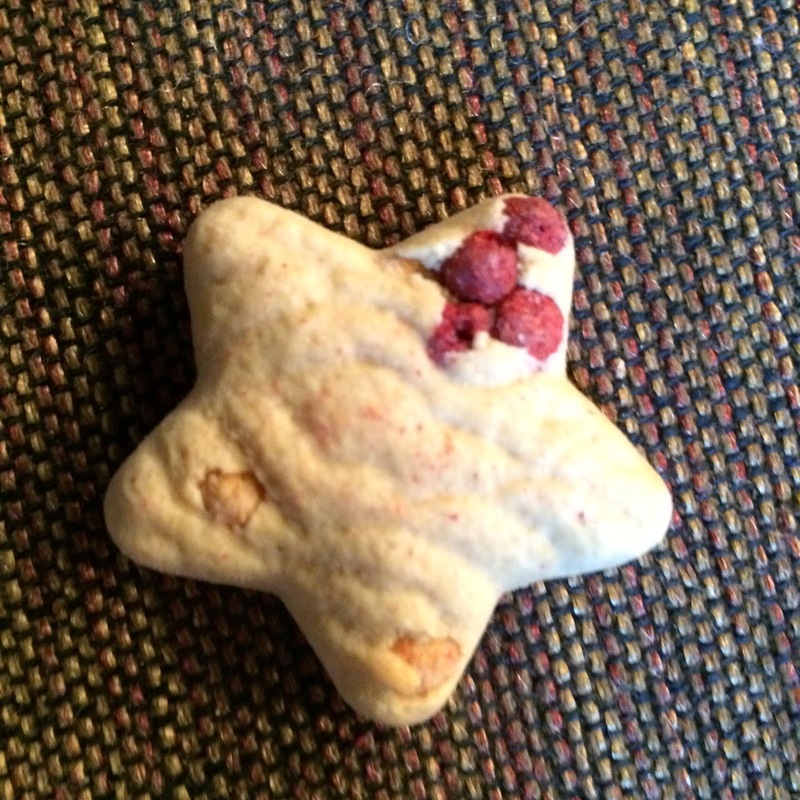 But here is the review of one of those treats. 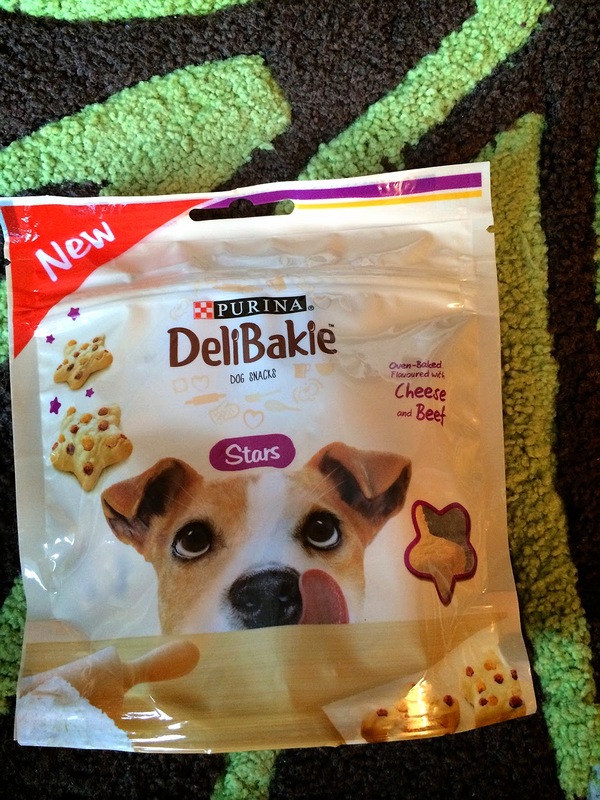 From our local Pets at Home store I purchased Purina Deli bakes stars although they are available in most pets stores/supermarkets. They cost £1.29 which is more than I would normally spend, but with the tempting packaging I decided to give them a go. Once I opened the packet the smell hit me straight away, and they certainly do smell baked. In fact they nearly smelt good enough for me to eat!. Cheese and beef were prominent as stated on the packaging. Inside there were 11 deli baked stars which are about the same size as a 50p piece. For the price I was a little disappointed with the quantity. Lottie would soon get through 11. We do purchase similar treats with double the quantity for half the price. So for me to repeat purchasing them they would need to be good. Mum do we really need to take all these photo before I try them! Lottie was extra keen to try one and could hardly wait she even tried to get into the closed packet! She eat the star in under 1 minute. And seemed highly impressed and gave me a paw to indicate she would like more! They must of tasted extra good as once we had finished the taste test I had to put them away in the cupboard as she just wouldn't leave the them alone. Needless to say Lottie is trying to pursuade me to buy more! All things said and even though Lottie really liked them I think I will be waiting for the stars to be on offer before I purchase them again. The main factor is the price which I just don't feel is appropriate for the quantity of treats. But for a extra special treat or if you don't mind spending a little extra once in a while these will definitely be for you! Unfortunately this will be my last doggy post for a while. My surgery is going ahead on Thursday and I will be in hospital around 2 weeks. Lottie is looking forward to her extra long sleepover at grandmas which is where she will be staying while I am in hospital. I will be sure to keep you guys updated on Facebook on how everything goes. Hi there! I am glad I found your PAWsome blog! So glad Lottie enjoyed the treats...but I cannot believe there were only 11 in the bag! That's ridiculous. Good luck with your surgery. Oh my goodness these look delish!!! We are wishing you well during your surgery! 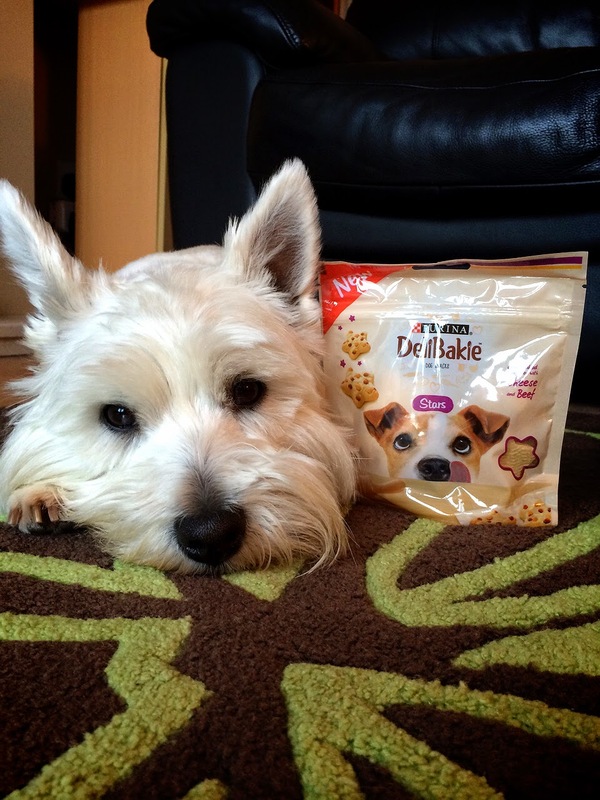 The packaging is tempting, and Lottie's tongue in that last photo says it all! Sending good wishes to you on your upcoming surgery. Lottie will be so happy to see you when you get home. All the best with your surgery! Sending lots of pawsitive thoughts your way!